Registration is now open for the Winter Session of Jujitsu Buddies. Classes start December 2nd! 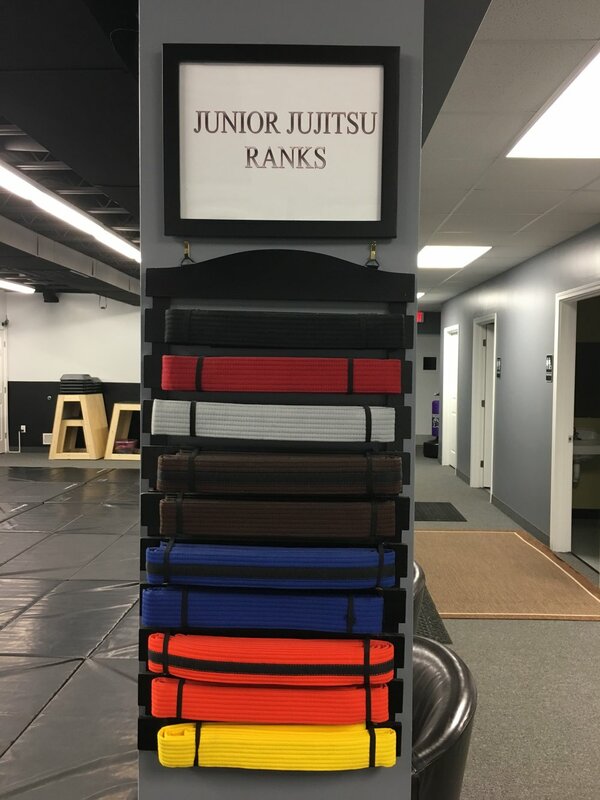 Junior Jujitsu testing this Saturday, November 11th - students will be testing for their Advanced Blue and Blue Belt ranks. Registration is now open for our Strike Back Fitness program for kids and teens with Down Dyndrome. We will be Closed on Monday, October 9th for Columbus Day. Classes will resume as scheduled on Tuesday, October 10th. NEW Junior Jujitsu or Adult programs Students get 50% OFF your 1st month or sign up for 3 months and pay just $99/month! Offer ends October 31st! Take one last opportunity to have some time to yourselves before the craziness of the school year starts. Strike Back Fitness Registration Now Open! Registration is now open for our next session of our Strike Back Fitness class, a program designed specifically for kids and teens with Down Syndrome. Classes start the week of August 8th. Main Street will be closed early on Thursday, July 13th due to the Webster Firemen's Parade which starts at 6:30. We will be closed on Monday, July 3rd and Tuesday, July 4th in observance of the 4th of July holiday. We will be OPEN Saturday, July 1st for Juniors Class but will be CLOSED Monday, July 3rd and Tuesday, July 4th in observance of the 4th of July holiday. Registration is now open for our CORE 4 Fitness Summer Boot Camp! This class is design specifically for our tweens and teens on the Autism Spectrum but is open to everyone. Classes start July 10th. Contact us for details! Our Jujitsu Buddies Summer Session starts this Saturday June 17th! We are excited to welcome back some old faces and meet some new friends. We will be having classes on Saturday, May 27th but will be closed on Memorial Day, Monday, May 29th. Please have a safe and enjoyable Memorial Day weekend! Registration is now open to everyone for the Summer Session of our Jujitsu Buddies program! Classes start June 17th! Contact us with questions or for more information. On Monday and Tuesday May 22-23 our parking lot will be getting resurfaced. Parking will be available at the mac-n-cheese restaurant lot next door. Please enter through the front door of Webster Hots at street level and proceed through the restaurant to the back door and down the stairs to enter Strike Back. On Thursday May 11th some of our No Gi Jujitsu students will be testing for their Advanced White Belts. We are very proud of the progress they are making. Open registration going on now through May 11th for Strike-Fit our newest program designed specifically for kids and teens with Down Syndrome.